Second Life for your phone? Well that’s what Media Groove has created for the technologically advanced citizens of Japan. 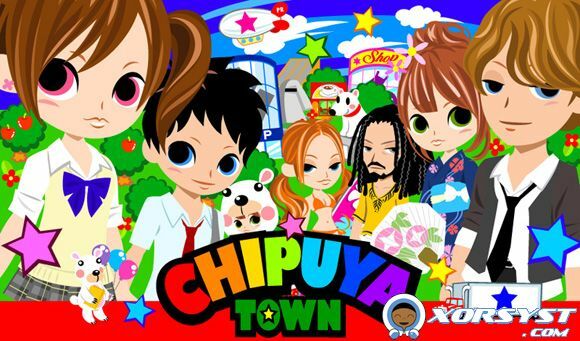 In Chipuya Town, users create avatars, and jump into a world similar to Animal Crossing meets Habbo Hotel. You can buy shoes, outfits, furniture for your apartment, and soon even vehicles and pets. Chipuya, Shibuya, get it? Advertisers pay close to $4,000 a month for their advertisements to be featured in-world. I admit, when Habbo Hotel first was released, I used to be a satisfied member buying furni for my apartment, and hosting the coolest dance parties into the wee hours of the morning. It was only after I noticed that my Habbo apartment had more furniture than my real apartment that I was clued into my own problem. The intervention from friends also played a part, I swear. But if I was able to have all the addictive pleasures of Habbo on my phone… wait, nevermind. Anyways, so yea. Don’t expect to see this here in the states for quite some time. Source: Wired. Nihongo o yomu koto ga dekimasu ka? koko de kurikku.